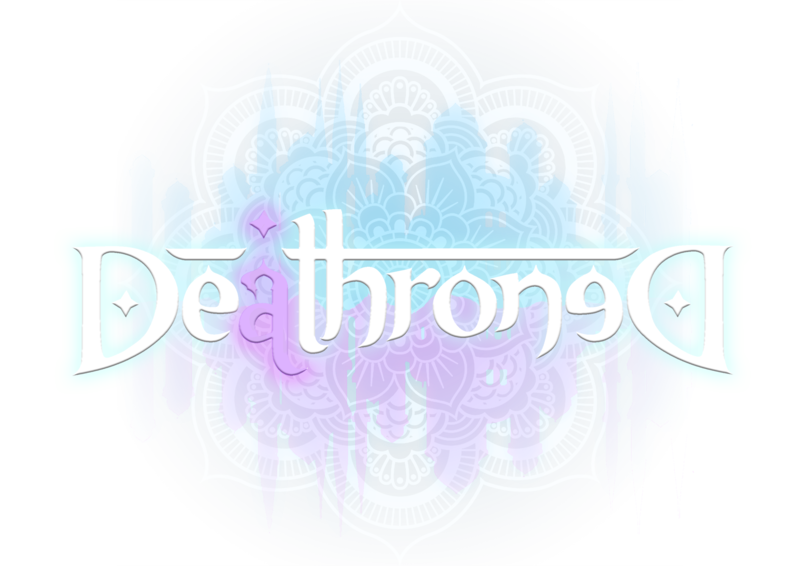 Deathroned is a hectic first-person shooter in which the player takes on the role of a powerful sorceress making her way within an enchanted palace inspired by One Thousand and One Nights. The random generation of its levels every time the game is played and the freedom to modify the combat style in real time make every playthrough a unique experience. Express your combat style. Combine magical abilities to create devastating attacks. A rediscovery in every playthrough. 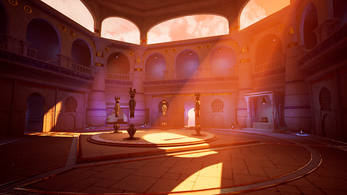 Explore an enchanted palace that changes every time you play. An atmosphere out of a dream. 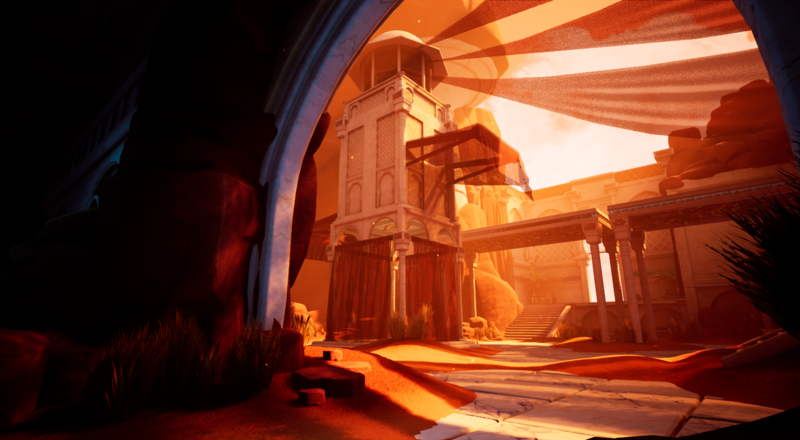 Traverse a beautiful setting inspired by the legendary magic of One Thousand and One Nights. Region: North America and Europe. Project made by the indie studio: Nuclear Toaster Studios. A team composed by 7 designers, 6 programmers and 4 artists. You can control the player with mouse and keyboard, but it is recommended to use a gamepad (It shows PS4 controller, but an other controller is ok, as far as has the same amount of buttons). This was pretty fun, kinda low res for a p.c game but would be great in some multiplayer aspect! I look forward to the whole game! We are sorry you had to play it in low res. Right now the game auto adjustes the settings for a better performance. We'll be working on that as soon as possible. Glad you liked Deathroned, and thank you for playing! Hey fam... Wish I could test this on my Xbox One >> No PC and All .... LOOKS SERIOUSLY DOPE!!! If you ever make the jump to Console?? Please let me know. Hi Cyberwolf!! Thanks for the video and sorry about the optimization. Man I wanna try this on the world's most powerful console !!!!! The art style looks really cool! Can't wait to hop in! This looks really freakin cool, nice work!! Upgrades? UPGRADES? I was not ready for this. Nor was my pc. Still in love. Thanks hupfen for your words. You download it for PC, but our objective is a national console contest. Had to give it a second go to try out some different cards. I'm in love with the shards with damage boost! Also tried playing with M/KB and found the game to control a lot better, but with little usability in the menus or spell swapping. Still, had an absolute blast! Hope the additional feedback is of use to you! CoalFire, thanks a lot for this. Really appreciated!! Is there an option to lower the graphics quality? At some point, it gets really laggy on my laptop. Sorry to hear that. There isn't a way to do it. Try to boost your performance and close other apps such the browser. Hope it helps enough. Right now this is just a demo we are showcasing. I hope you have fun still. this looks beautiful i cant wait to play! Sorry to see that! It is just a demo that we didn't optimice absolutely. So this is just damn good. I've always wanted a fast paced magic based first person shooter and you've delivered in spades! I had a couple minor quality of life criticisms at the end concerning audio design, attack tells and audio cues, but this is a damn fine demo!